Cape Coral Grocery Stores - get your groceries at Publix, Winn Dixie, Walmart, or Super Target! You will probably end up shopping at the store closest to you, but it's still good to know about all of them. In Cape Coral groceries are generally a bit higher than up north because we are out of the way from the rest of the country and it costs more to truck food this way. But, we do enjoy more of a variety of fresh produce from Florida for a longer season throughout the year. 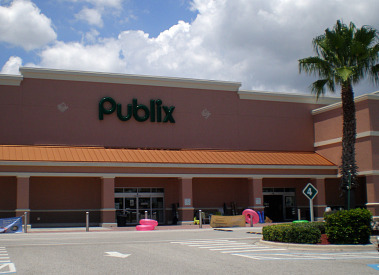 Florida is home to the famous Publix grocery stores, and Cape Coral has several. We also have a Winn Dixie ............. plus Walmart and Super Target supermarkets, as well as groceries in the regular Target stores. We think Publix is the best out of all of the Cape Coral supermarkets. They have several locations in the Cape. Publix is clean, has a large selection, and has high quality meats and produce. The deli features Boar's Head cold cuts, and I don't know what I'd do if I couldn't buy their rotisserie chickens, they have saved me many a time for dinner. Lemon pepper is our favorite. Check out the deli's prepared food, party food menus, and also butcher shop, liquor store, bakery and seafood counters. We love their breads ...... sliced Chicago Italian, White Mountain, whole wheat 5-Grain Italian, bagels, croissants, and French hamburger buns. Then there's their specialty breads: garlic, cheese, ciabatta, foccaccia, and mini-pizzas are some of the delicious choices. I like to buy their organic produce and they have pretty good health food and Latin American foods sections. Publix has a natural and organic store brand called Greenwise, with products in all categories. They also have a pharmacy, and an extensive health and beauty section. What I really like is that Publix baggers take your groceries out to the car for you and help you load them in. Check out their weekly sales specials online to help you save money, as Publix can be a bit expensive. Go to my Publix page to see store locations and lots of photographs. 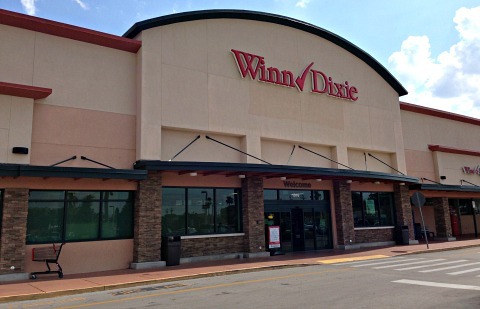 Winn Dixie has a chain of supermarkets in Florida, Georgia, Alabama, Louisiana, and Mississippi. They take pride in offering outstanding quality, variety and value for a one-of-a-kind shopping experience. They have a bakery, butcher shop, deli, natural and organic foods section, wine and spirits, floral shop, and pharmacy. Get their rewards card for savings on hundreds of store items and savings with gas, baby items, and college expenses. Walmart is a great place to go to if you really want to save money. 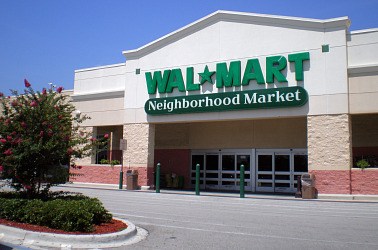 Walmart has three locations, a SuperCenter and two Neighborhood Markets amongst it's Cape Coral grocery stores. I shopped there for awhile and I did notice a big difference with my shopping bill. Prices were lower but I switched back to Publix because I preferred to pay more for quality. Walmart's produce was not as good as I would have liked. My girls won't eat their deli meats. Do not buy their pork or beef, it is injected with something that makes it too salty and gives the meat a spongy texture. The chicken is fine and you can get family-sized packs of chicken breasts that Publix doesn't have. Walmart is good for paper, boxed, and canned goods, as well as health and beauty products. 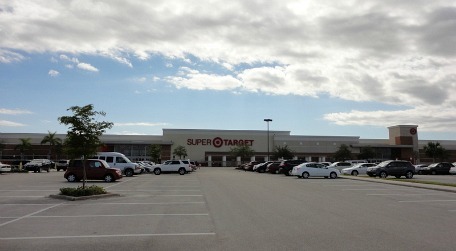 And, last but not least of the Cape Coral Grocery Stores is Super Target. They have one location in Cape Coral on Pine Island Rd. The regular Target on Santa Barbara and Veterans Blvd now has groceries and produce.